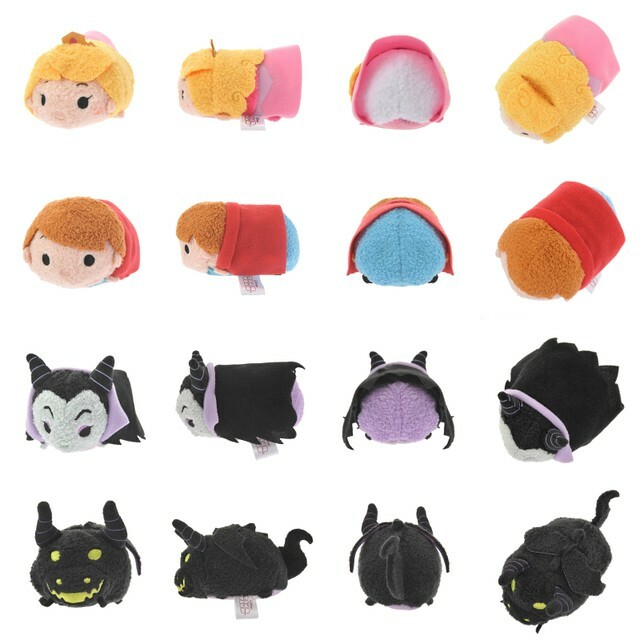 The first set of tsums available for retail from the 3rd anniversary box set is none other than the sleeping princess and her fellow cast mates. 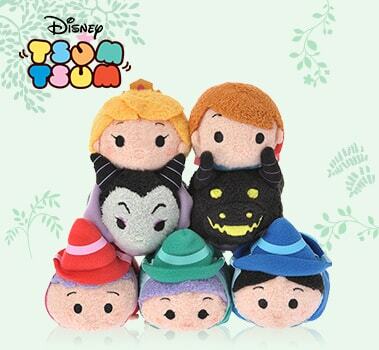 Seven tsums come as part of this lineup – Aurora, Prince Philip, Maleficent, Dragon Maleficent, and the 3 faeries of Flora, Fauna and Merryweather. Maleficent tsums especially have significant differences compared to their US/UK counterparts. Maleficent bears a lighter purple cape and the contours of her face are rounder and smaller. The horns on both Maleficent and Dragon Maleficent are stuffed as opposed to mere fabric cutouts. Only Aurora, Maleficent and Dragon Maleficent have been released prior to this date as part of the 3rd anniversary box set. 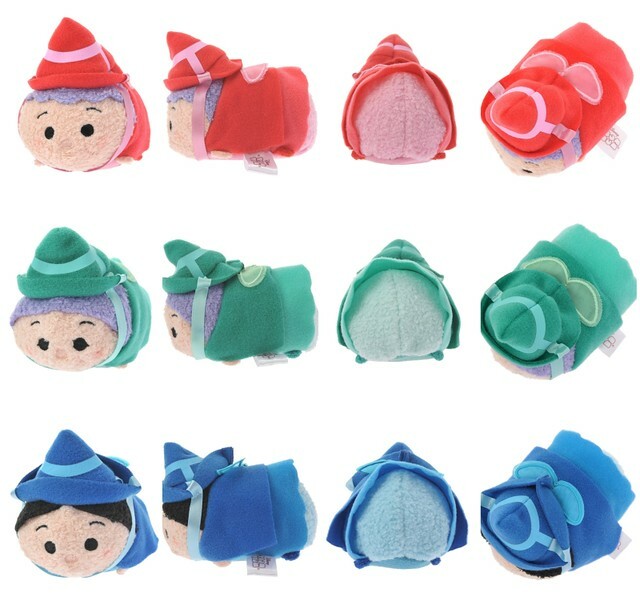 Philip and the 3 faeries can only be acquired as individual tsums at Japan Disney Stores.